Link to a recipe at the end of this post. Chinese New Year is right around the corner. The streets of Chinatown will be filled with drums, dancing dragons, red lanterns, and confetti. You should also be forewarned that there will also be tons of firecrackers going off all around you. Don’t forget about those small boxes of snaps that little (and big) boys throw at your feet to scare you. Red envelopes stuffed with money will be given to children. Many symbolic foods will also be used to celebrate the new year: Long noodles represent long life, sweet rice cakes (the name translates as “year cakes”), peaches and peach blossoms represent fertility, and dumplings represent wealth and prosperity. I recently attended a family reunion where homemade dumplings were always a non-negotiable part of the afternoon. After a morning of playing Mahjong, all the aunts and uncles prepared dumplings from scratch for all the kids and grandkids in the family. Dumplings are becoming increasingly popular as a trendy and inexpensive way of filling up. They’re delicious and nutritious! In Manhattan, there are quite a few places to get dumplings. In Chinatown there is the ever popular Prosperity Dumpling which has Yelped its way to fame. 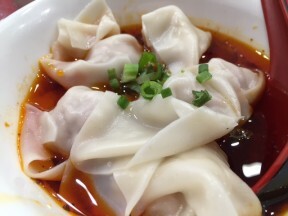 Xi’An Famous Foods and Vanessa’s Dumplings have multiple locations including Chinatown and the East Village. 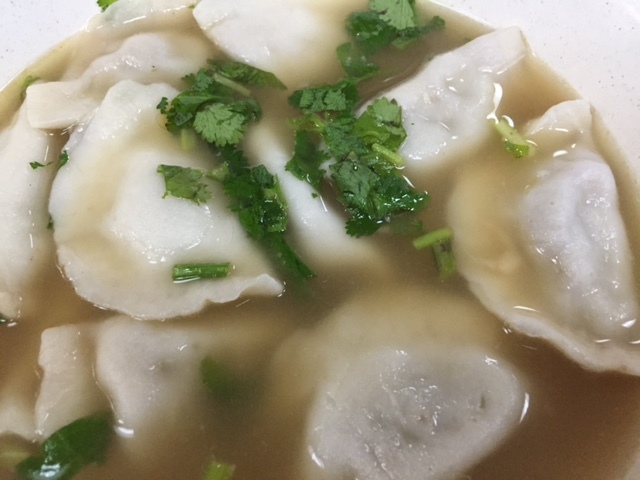 Just tonight I stopped over in Chinatown at a little place called Spicy Village for a quick dumpling dinner with a friend before heading to a concert in Brooklyn. It was incredible food for and incredible price. And for vegetarians and the people who love them, Buddha Bodai on Mott Street in Chinatown is a vegetarian/Kosher Chinese restaurant that has incredible, dare I say addictive, dim sum on weekends. Their dinner dishes are wonderful, too. Dumpling parties were always a hit back in college. I even gave a class where I taught people to make dumplings. I will be reviving the dumpling party soon. There is an extra special bond between people when they cook together. It makes eating together even sweeter when the rewards are also a shared experience. There is a great article from Bon Appetit about how to throw your own dumpling party. May you live long and prosper!